When the first Picpus missionaries came to Easter Island, the last of the native priests had been dead for some time and the islanders hardly had any clearly defined religion. Thus, they were easily converted to Christianity. The Picpus Fathers had considerable problems getting any information at all about the earlier religious practices of the islanders. They did learn that there had been priests and, perhaps, even priestesses. The priests organized certain festivities when a child was born and they were also charged with chasing away evil spirits from the bodies of the sick. The priests also were the ones who sang songs that they had composed in honor of the deaths of important chiefs while the bodies were being transported to the ahu (sacred tombs), on which they sometimes subsequently placed offerings of chickens or fish. The Easter Islanders believed in the immortality of the soul. After death, the soul went to a land where it was more or less happy according to the extent to which its owner had respected the island taboos (tapu or tabu) during his lifetime. If the soul had earned the right to happiness, it would live in a kind of Eden, with fine clothes, abundant and delicious food, and beautiful and desirable women 195. In the opposite case, the unhappy soul, a kind of ghost, became an aku-aku or evil spirit that hid in the caves on the cliffs and could torment its relatives while they slept or when they dove into the water. These aku aku could, perhaps, even be reincarnated. 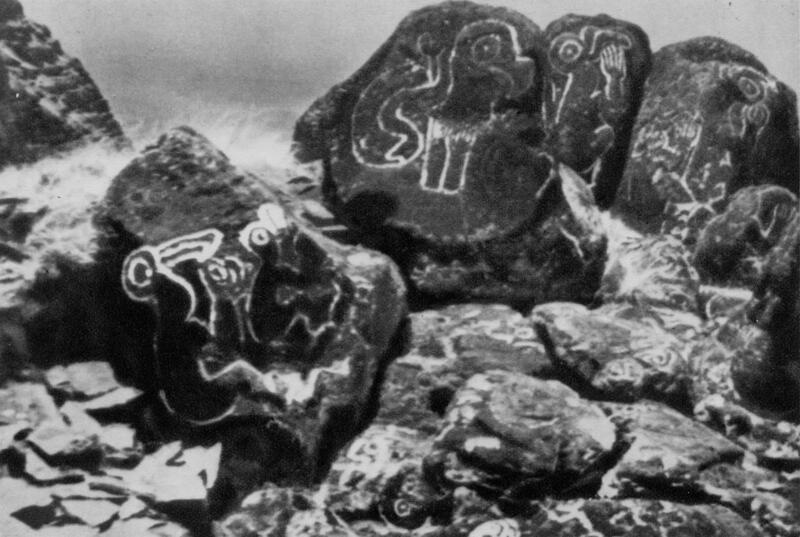 To keep such evil spirits away, the islanders placed carvings of anthropomorphic lizards (moko) on each side of the entry into their huts. In addition, to pacify these spirits, the natives placed offerings on the ahu. The islanders believed in a kind of supreme being called Alua-a Make Make, who had a retinue of various gods: Hiva, Tive etc. ... (god of evil, god of war, god of theft); Hiro and Matu-uara (god of the sky, god of torrential rain); Hawa-take-take (god of eggs), etc. 196. There were no idols that represented these gods. Only the god Make Make, with his huge eye sockets, was carved on the rocks at Orongo and on some other rocks along the coast. To conclude, let us note that the principles behind tapu were in some way related to the natives’ religion. The entire social life of the Easter islanders used to revolve around the Bird Cult (manutara: the good-luck bird). Moreover, of all the traditions and customs this cult was the last to disappear. The main ceremony every year was organized with the goal of choosing the chief (the chief warrior, in particular), who was called the tangata manu (literally, Man Bird). The man who became tangata manu was the first one to find an egg laid by a migrating sea bird with a long beak, the sooty tern or sea swallow. The nature of this type of selection (which we shall discuss below) meant that good luck and fate played a role (hence the name manutara or good luck bird) and, moreover, in the early days when the competition was not performed by proxy, it required physical and moral qualities that were indispensable for a military leader. Indeed, to go searching for eggs, it was necessary to swim across a rough, churning sea to a little island, which itself was battered by the waves. Then, after finding the first egg, it was necessary to swim rapidly back to the main island in order to show the egg to the islanders on shore as soon as possible. It is clear that to succeed in such an enterprise, the winner had to be both a skilled and powerful swimmer and a man of determination, endowed with unusual courage. The islanders had chosen, for this competition and the accompanying ceremony, the southernmost promontory on the island, where the Kau or Kao volcano (Rano Kau; Figures 4 and 62) is located. This crater is 1,300 meters high and approximately three-quarters of a mile in diameter, 198 and there is a small lake, surrounded by grasses and bushes, at the bottom of the crater. On the side of the crater that faces the interior of the island, the slope is quite gentle while, on the other side, the crater forms steep cliffs of more than 400 feet in height 199 that are battered by ocean waves. It is the most impressive site on the island both because of its beauty and because of the silence that reigns there, broken only by the noise of the crashing waves and the strident cries of the sea birds as they hover near their nests on the cliffs. And we have to add to all this the mystery of the doubly dramatic rituals that took place here long ago — doubly dramatic because, on the one hand, men often drowned during the competition and, on the other, the consecration of the election of the new chief involved the sacrifice of from one to three human victims! And the choice of these victims often led, in turn, to long and cruel wars. On the side of the volcanic crater that faces the sea, there is a little village called Orongo, which consists of about fifty dwellings (as described previously; see Figures 31 and 62 and the section on Dwellings). These dwellings were located among the rocks, many of which were carved. The carvings most often represented a man with the head of a bird (Figures 62, 63, and 64) and Mrs. Routledge reported 111 such images 200. It is interesting that she also noticed that some of the carvings were partly hidden by the walls of houses and she suggested that the carvings had been made before the houses had been built. Furthermore, it seemed likely to her that, before these stone houses had been constructed, there had been less durable dwellings, with thatched roofs and vertical supports resting in holes that had been made in large stone tiles that, subsequently, were used to build the stone houses that survive. We should recall that the most beautiful and the most venerated idol of the ancient islanders, known as Hoa hakanana ia or the “Breaker of Waves” 201, was located in one of these houses. This statue is very finely carved and its back is decorated with beautifully carved motifs (Figures 56 and 57). These motifs were not only carved but were also accented by red paint the statue’s white background. On each side of this statue, at its feet, there was originally a large stone, with a hole similar to those carved in the stones in which house supports were inserted. 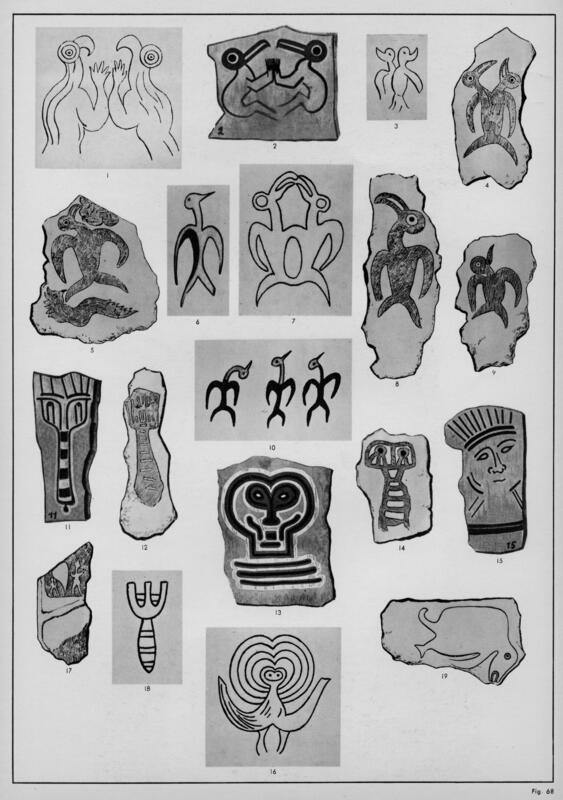 One of these stones was also decorated with a crude carving (Figure 107 in Routledge 202). We note, in passing, that, in addition to all the sailors from the Topaze, 300 natives had been needed to uproot this statue and take it down to the dock at Cook Bay 203. At some distance from the cliffs of Rano Kau there are three small islands: Motu Nui, Motu Iti, and Motu Kao Kao. The migrating sea birds come and make their nests on these islets (Figure 62). Motu Nui is the largest (approximately five acres) and also the most distant. It is covered with sea grasses and its nooks and crannies are the sites of nests of the seven species of birds that come here to lay their eggs. Among those that arrive at the end of September (which is springtime in the Southern Hemisphere) is a large black sea swallow 204 with a strident cry that the natives call manutara (good luck bird). At the beginning of July, some of the island clans would set off on foot along the path known as the ao, which rises from Mataveri to the village of Orongo. Sometimes, several clans would get together for the expedition or, alternatively, the clans would go separately. Among the clans would be the one that had been victorious the previous year, and this clan was called the ao. We shall see in a later chapter that ao referred also to a type of large oar (Figures 97 and 98) that was generally about five feet long and both carved and painted. The very stylized decoration represented a human head, with just the eyes and nose depicted and covered with alternating vertical stripes of red and white. This oar or ao was used during the ceremonies associated with the birdman cult. That is why it was decorated with the same motifs (as described above) that were painted on the tiles of the houses at Orongo and also why it had the same name: ao. 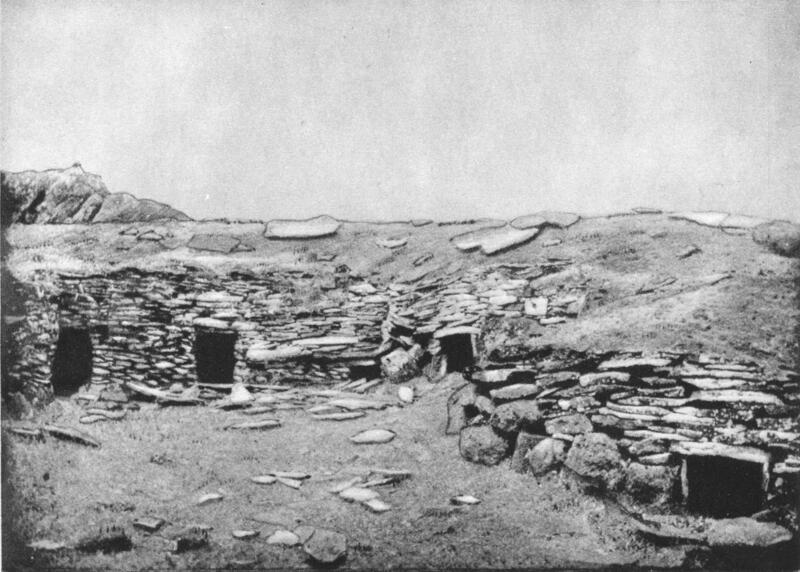 Upon arriving at Orongo, the islanders set up temporary quarters in the stone houses to await the arrival of the sea swallows. The wait lasted a good lunar month, in general. Their wives brought them food because the men did no work at all 205. They passed the time singing and dancing and engaged in all kinds of excess: totally naked, for example, they danced communal and lascivious dances with their wives (Eyraud)! During this waiting period, some of their servants, who had been chosen as lookouts, stayed on watch in caves at the base of the Orongo cliffs 206, down which they had made their way along a narrow path. The roof of one of these caves was decorated with a painting in red of a very large human head; another, particularly appropriate cave was called the haka rongo manu or “Cave for Listening for Birds”. In these caves, taking turns like sentries, the natives watched day and night for the arrival of the sooty terns on the little islands across the water. Furthermore, during the last years of the cult, around 1860, which represent the only period about which we have any information, the members of the ao clan acted by proxy and designated other servants to replace them. These servants, called hopu, went to the islet with supplies before the arrival of the birds. To facilitate their swim to the islet, each of them made a little bundle of sticks that they would hold with one arm during the crossing, while swimming with the other arm and both legs. But, even with this type of life-preserver and for further protection, they did not go into the water with their bundles of sticks until they had recited a propitiatory incantation! Once they had arrived on the islet, the hopu took shelter in small caves and watched for the arrival of the sooty terns. The manutara announced its arrival with strident cries that could be heard from a great distance (their arrival also signaled the start of fishing on the high seas). 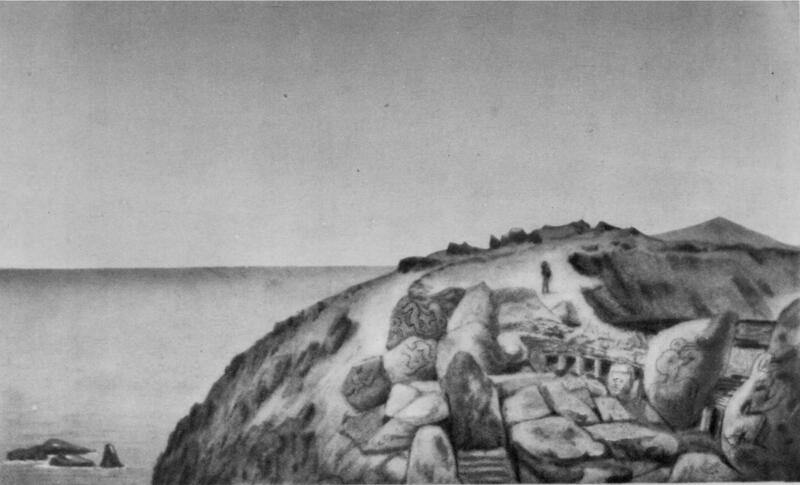 The drawing in Panel 16 of Figure 68 shows a manutara surrounded by circles since, in the mind of the island artist, these circles represented with absolute accuracy the powerful resonance of the cries of this sea bird. When they arrived on the islets, the birds found shelter and laid their eggs. Immediately, the hopu would pounce on them and the first to grab an egg climbed to the highest point on the islet and shouted 207 to his master, “Shave your head because you have the egg” 208. When the lookouts at the base of the cliff heard the news, they relayed it to the winner at Orongo. Then the winning hopu put the egg in a little basket that he fastened on his head and swam rapidly to the shore, where he gave the egg to his master with a piece of red tapa cloth and a piece of the nyau nyau tree 209, while reciting the tale of his achievements. The owner of the egg, henceforth protected by the gods, became tangata manu or man-bird 210. Unlike the kings, who were not allowed to cut their hair, he had to shave his head and dye his pate red. Then he had to put on a wig-like crown made of human hair, called a hau oho, and paint his face red and black. He had to hang a bird on his back 211 and, finally, he had to change his name, with his new name designating the year that would follow 212. Thus, Mrs. Routledge was able to establish a list of 86 years of different birdmen (and the names of the victorious hopu). 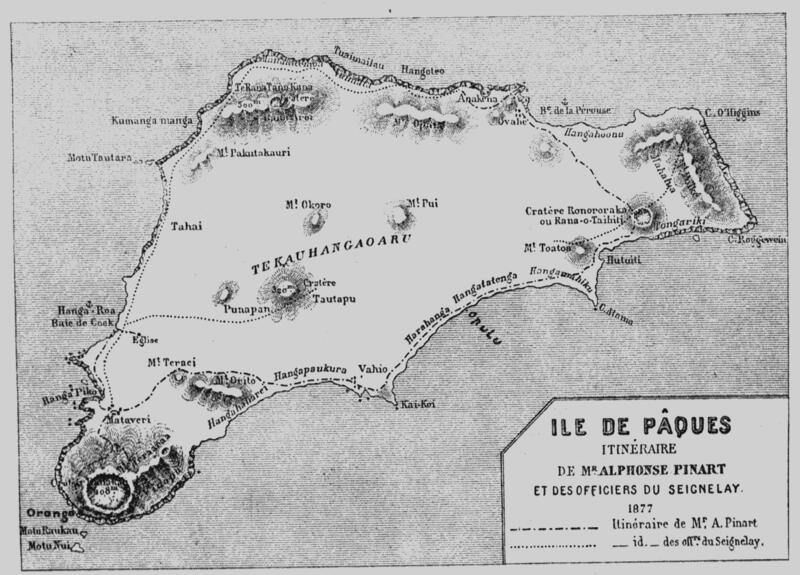 Immediately after the transfer of power, via the egg, the news was announced by lighting a fire on the summit of Rano Kau on the east or west side, depending on the region of the island from which the victor had come. 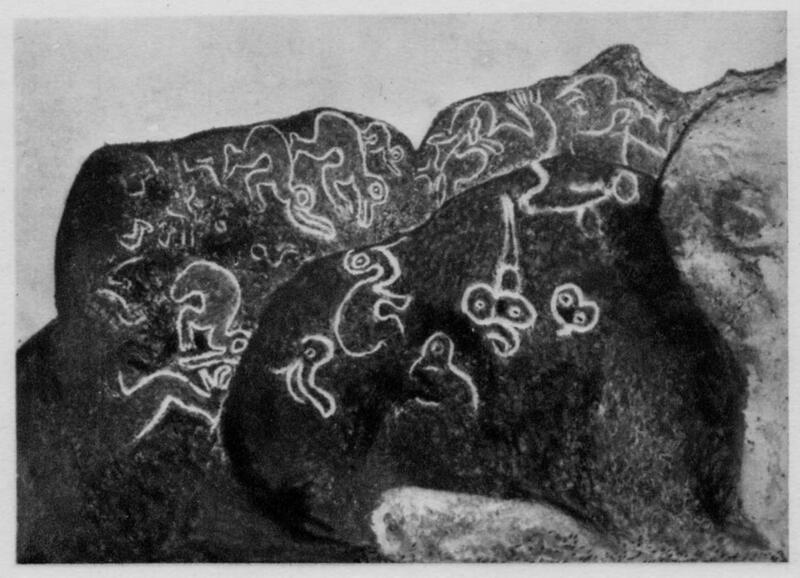 It is possible, as suggested by S. Routledge, that the next thing that happened was the carving on one of the rocks at Orongo of an image of the birdman who had just been chosen and that this practice explains the more than 111 representations of tangata manu that are found there 213 (as well as many that have been erased; see Addendum). The fact that three of these sculptures represent a tangata manu holding an egg in his hand (Figures 64, 65, and 66) seems to support this hypothesis. Once the first rites had been completed, a procession formed, consisting of all those who had found eggs. They surrounded the tangata manu who held his egg in his hand on a piece of tapa cloth (see also Addendum), and moved around Orongo, singing, dancing and feasting. Then the tangata manu designated from one to three people who were to be sacrificed by immolation to ensure the prosperity of his reign. The choice of victims often led to wars between the clans. Sometimes, the winning clan, the ao clan, took one of these victims to a cave that had been carved out by the sea from the lava cliff, which was called Ana Kai Tangata or Cannibal Cave 214. In this vast cavern, into which the waves crashed like thunder, the floor was barely above the level of the sea. Its roof was decorated with birds painted in red and white. One of these frescos, seen by Routledge, depicted a bird flying over a European vessel 215, which means that it was painted relatively recently. Then the tangata manu retired for an entire year to a hut that was generally built for him on the slopes of Rano Raraku, in the region known as Orohié, but the location varied depending on the clan to which the tangata manu belonged. A short distance below this hut was the ahu that was chosen, in advance, for the funeral and burial of the tangata manu, where he would be entombed with his egg (wrapped in tapa cloth), his obsidian-tipped spears and his fish hook(s). As for his hut, it was divided into two rooms. He lived in one of these rooms, from the ceiling of which hung his egg wrapped in a piece of tapa cloth, while another native, who acted as his servant (ivi-ahui) lived in the other room. This latter room had two hearths since the servant — because of ritual prohibitions — was not allowed to eat the same food as the tangata manu, whose food consisted of the gifts that were brought to him by the other islanders. For five months, the tangata manu lived in a state of total taboo, such that even his wife and his family were not allowed to see him and he had to remain celibate for the entire time. During the day he slept and nobody could approach him until nightfall. The hopu also lived at Orohié, separately, in a dwelling that was divided in two by a partition that had a hole through which food could be passed. 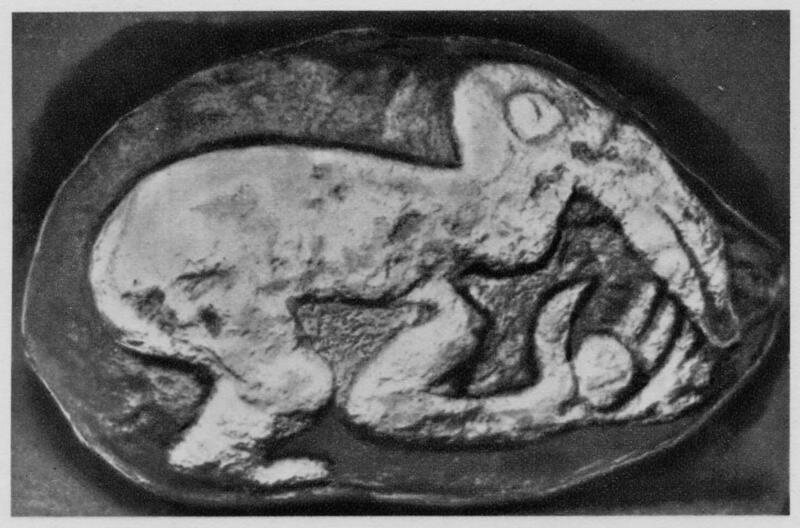 He took this food with his left hand because his right hand, in which he had held the egg, could not be used for any other purpose. The wife of the hopu and his children were also kept away from him. After they had laid their first clutches of eggs, the sooty terns left the islets for a little while and then returned to lay large numbers of eggs. At this time, the victorious clan would return to the islets and gather eggs in baskets that they would put on their heads for the swim back to the shore. On their return, carrying their eggs, they would walk in procession around the island. The first two or three eggs were not eaten but were given as offerings to the gods. The others were eaten. A little later, if the islanders managed to catch some young manutara, they would keep them until they were grown. They then attached a piece of red tapa cloth to a wing and a leg and told the birds, “kahoki te hiva (“Go far away and into the world”) 216. As March approached, most of the sooty terns left Motu Nui for good but a few laggards stayed behind after the rest had departed, explaining how it was that Mrs. Routledge was able to see some in July. After a year, the tangata manu saw his power expire. Sometimes his clan managed to retain control of the egg for several years. Sometimes a clan bequeathed the egg to a friendly clan rather than retaining it. But, no matter who was victorious, as soon as a new tangata manu had been chosen, his predecessor wrapped his egg up carefully and hid it in a crevice on Rano Raraku. Then he returned to his former life. He did retain some prestige, however, and a special place was reserved for him at ritual celebrations. There is good reason to believe that, in 1866 or 1867, an ao called Kokunoa came to Orongo for the very last time. But, during the preceding years, the birdman cult had already degenerated considerably, which explains why the islanders were so easily converted to Christianity in 1868. 195. Translator’s note: One wonders what happened to the souls of women. Editor’s note: There was a general belief throughout Polynesia that common souls went to Po (the underworld or world of darkness) but souls of those who possessed superior mana (sacred power) ascended into the heavens or dwelt in bliss in some earthly paradise (E.S.C. Handy, 1985). Souls traditionally departed from (or leaped off) a point of land at the western end of an island; on Easter Island, this was likely to be the cliff at or near Orongo. 196. Editor’s note: Makemake was the greatest "functioning" god in historic times (Metraux, 1971). There are references to Tangaroa and Rongo; Hiro was a god for rain; and Hiva and Tive are mentioned in the creation myth. Atua-metua (God-the-parent) is mentioned, as is Tiki, although his personality was absorbed by Makemake. Haua appears in the myths, associated with Makemake. Chauvet’s "Alua-a-Make Make" likely was meant to be "Atua"; "Matu-uara" and Hawa-take-take" are unknown. 197. Information about the Bird Cult is vague and incomplete in many areas. Nonetheless, the information collected some time ago and also by Thomson and Routledge is worth considerably more than the information that today’s (hybrid) islanders can provide since the latter have forgotten everything or almost everything and, in addition, they make up stories. Is it not true similarly that, in France itself, our contemporary peasants, in spite of museums and books on folklore, have forgotten the traditions that they practiced around 1850 (and also the rituals that accompanied their celebrations and even the clothes that they wore)? 198. Editor’s note: Rano Kau is 1,500 meters (4,921 feet) in diameter. 199. Editor’s note: The cliff at Orongo is 1,000 feet high. 200. Editor’s note: There are actually 481 Birdman petroglyphs on Easter Island , 86% of which can be found at Orongo (Lee, 1992). The image is of a human figure in profile with the head and beak of a frigate bird. 201. Editor’s note: The correct translation of the name of this statue is "Stolen Friend". 202. 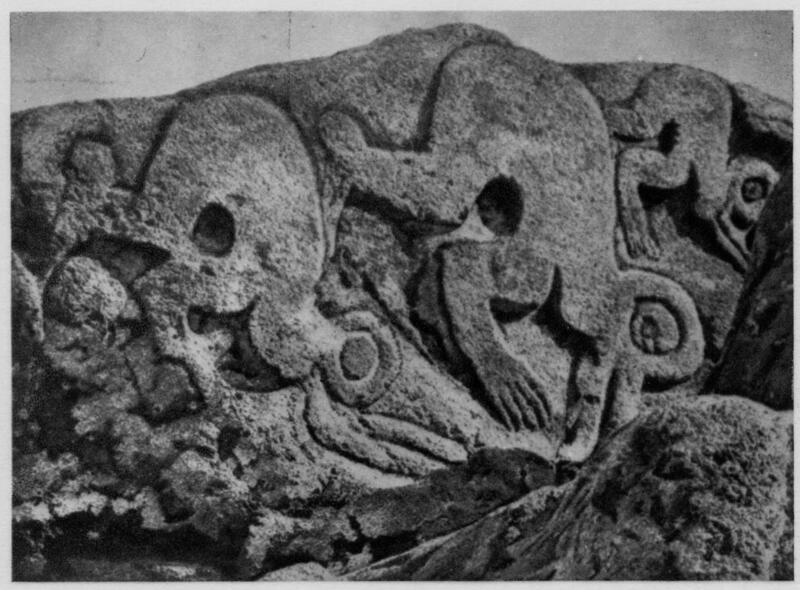 Translator’s note: Figure 107 in Routledge is labeled "Carved door-post, Orongo" and there is no indication that these stones had ever been placed on either side of or at the feet of the statue. 203. Translator’s note: Routledge writes that "According to the account of the missionaries, three hundred sailors and two hundred Kanakas [sic] were required...". 204. Editor’s note: The bird to which Chauvet refers is a sooty tern (Sterna fuscata). 205. Editor’s note: Food was prepared at some distance from the sacred site at Orongo due to the typical Polynesian tapu that forbids cooking of food at a sacred site. 206. Editor’s note: There are no caves at the foot of Orongo’s cliff; the caves where the contestants awaited the coming of the birds are on the islet of Motu Nui. 207. Editor’s note: It is not physically possible to hear a shout from Motu Nui; they may have had some other means of signaling, unknown to us. 208. Translator’s note: It is interesting that, while Chauvet litters his text with unnecessary exclamation marks, he fails to put one at the end of one of the most important sentences in the entire book! 209. Editor’s note: Chauvet may be referring to "nau nau" or sandalwood (Santalum). 210. Translator’s note: In English, usually "Birdman". 211. Translator’s note: "Pendre" means "to hang" and "peindre" means "to paint"; the printed "pendre" might be a misprint for "peindre". 212. The ancient peoples of Mesopotamia had a similar method for designating years on their clay tablets. 213. Editor’s note: There are actually 481 Birdman petroglyphs on Easter Island , 86% of which can be found at Orongo (Lee, 1992). 214. Editor’s note: The name "Ana Kai Tangata" can either mean "place where men eat" or "place where men are eaten" (“kai” having both ancient and modern etymologies — meaning either “to tell” or “to eat”, respectively). Excavations have found human bones, perhaps suggestive of cannibalism. For detailed coverage of the subject, including a survey of literature proximate to Easter Island, see McLaughlin, 2005. 215. Editor’s note: While a curved shape is shown in Routledge’s drawing of the cave ceiling, it may or may not be a boat. Or, it could represent a Polynesian sailing craft. 216. Translator’s note: Routledge writes "Kaho ki te hiva": "Go to the world outside".